CHATSWORTH GARDENS BEST PRICE!.. Excellent Guildford location, Only 7yrs new!! Nice & clean, spacious 1 BDR GARDEN suite with huge private patio. (Only one sharing wall with neighbor). Lots of natural lights SOUTH facing home looking into a quiet inner complex. Fresh new paint, laminate floor in lvgrm, open plan, cozy fireplace.. Well maintained complex loaded w/ amenities: 2 swimming pools, 2 gyms, tennis courts, hot tub, sauna, clubhouse.. 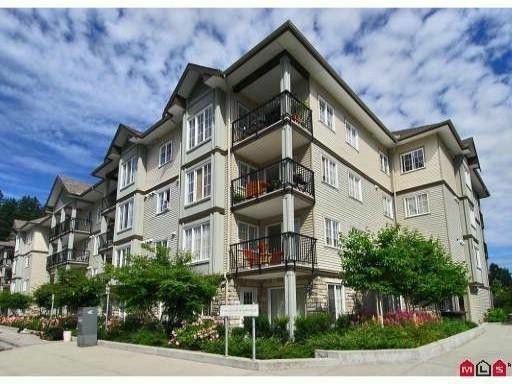 Walk to Guildford mall, T&T, public transit & short distance to Skytrain. Low maintenance fee includes hotwater.. Under balance of New Home Warranty. Flexible possession ok.